With Furious 7 arriving in theaters on April 3rd, 2015 I felt that it was time to look back on the series and my top 5 moments from the series. 5. The First Race (The Fast and the Furious) The Fast and the Furious. This was the movie that started it all. in what Universal Studios probably considered a risky move, they green lit a movie about the world of underground street racing. For those who were oblivious to the street racing scene, the first street race featured in The Fast and the Furious was probably enough of an adrenaline rush to make newcomers want to sell their beat up mini vans for a 95 Eclipse. And do not forget the actual car meet that this street race was located in, no doubt filling every one's minds with fantasies of being able to attend a car meet with a modded up car surrounded by admirers and beautiful women. This was the scene that set the tone for the series. Fast cars? Check. Ridiculous modifications? Check. Flames shooting out of the exhaust pipe? Check. Quotable lines? Check. Remember those times you saw someone at a car meet showing off their ridiculously priced ride that their parents bought them? And did you think, "Wouldn't it be great if I had a faster car, just to show him/her up a bit?" Well Sean Boswell (Lucas Black) did. Before Sean ends up in Tokyo, he was challenged by Clay, the kid from Home Improvement, to a race for pink slips. Sean's car? 1971 Monte Carlo. Clay's car? 2007 Viper. It was a satisfying race to watch, as we got to see old vs. new, with awesome results as Sean proved that the price of the car did not matter. Unfortunately due to a cheap shot the race never got to officially end as both cars ended up totaled. Why you can't have nice things. 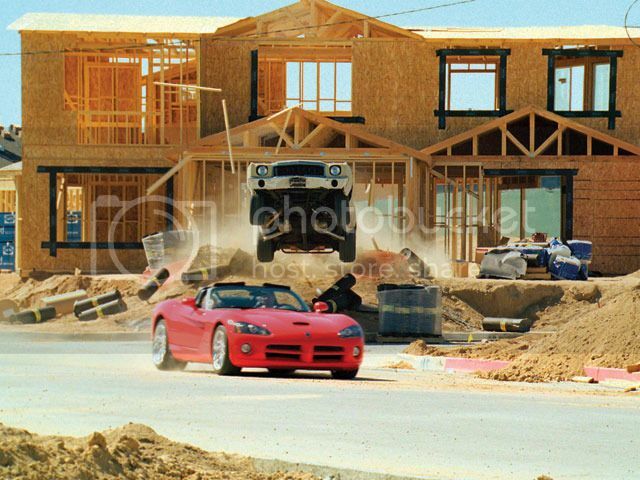 In this scene we see protagonist's Han (Sung Kang) and Sean Boswell (Lucas Black) drifting through the streets of Tokyo in an attempt to escape the movies antagonist, D.K. (Donkey Kong). This scene was pretty awesome as we get to see some awesome drift action going on as they dodge both cars and people (the "red sea" parting of the crowd was a pretty cool scene) in an attempt to escape with their lives. Ultimately this scene ends with the death of fan favorite Han in a fiery explosion. 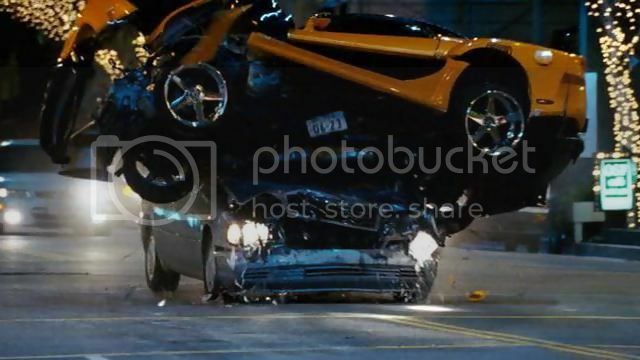 Probably the biggest game changer however in this scene was the later inclusion of Deckard Shaw (Jason Statham) who will be the villain in Furious 7 as it is revealed he was the one who caused the crash that took Han's life. I feel this is a good way to put this scene. You get to see the series regulars contend with crooked police in Rio, Brazil in beefed up police cars while dragging around a huge safe full of millions of dollars. The scene is every bit as cool as you can imagine. Every bit as ridiculously cool as it looks. Yes, I know it is surprising. This scene was an awesome conclusion to the first movie, as it set itself up for the future installments that we have seen and will be seeing. This scene has it all, The awesome 1970 Dodge Charger for the muscle car guys to drool over and a modded up 1995 Supra that probably still inhabits most import people's list of "Cars I Would Love to Own." Right from the get go this scene just oozed raw power, as is evident by the way the Charger leaps off its front wheels right from the get go. We are then greeted to an awesome mix of audio as you hear the roar of American muscle collide with the snarl of the legendary import. I will admit, I still use this scene to test out my audio systems. And of course it is necessary to add a train in the end, to give both characters one more excuse to hit that red nitrous button of goodness. Just an altogether amazing scene, and why I chose it as number 1. A quarter mile at a time. What happens when you make one buff guy fight another buff guy? One hell of a fight obviously. This scene, while light on cars, was an awesome face off as we had both leaders of their respective groups finally squaring off once and for all. It was definitely a cool fight scene to behold, and an interesting end as Dominic Toretto made his choice on whether to be a killer or not. In the end his decision proved a smart one. I know this list is probably not the same as your list, so let me know in the comments what scenes you feel should be included!